We serve over 1000 students every year in adventure camps and conduct several residential environmental education programs. Our teaching is done “in the field” through hands-on learning activities that take place on hikes to exciting backcountry destinations. 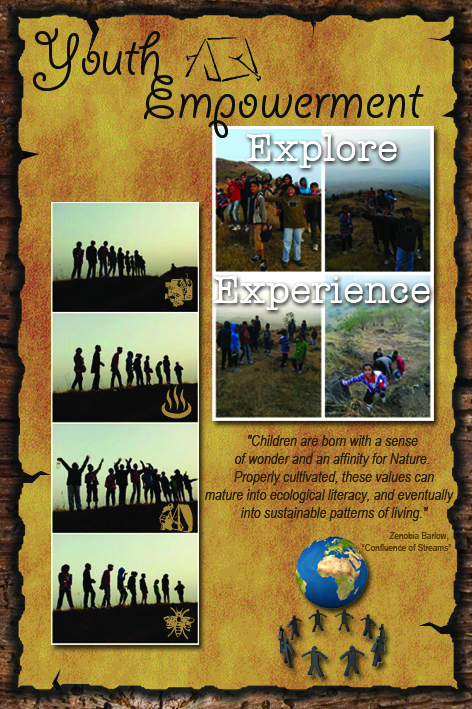 Students hike and learn in study groups with our special instructors and camp leaders. The groups are mostly convened at meals and sometimes during evening activities but they can be together more often if desired. Programs with 'Classroom on a Hill' are unique in that each school has the freedom to design their own experience. Teachers choose the location, curriculum, and length of program that best suits the needs and goals of their school. For the residential camps we have three and four day programs. During winters we have two-day camps and during summers we have four-day camps. We recommend a four-day program as our best option since this allows two full days of adventure and learning between the arrival and departure days and it’s a great option for teachers looking for an in-depth academic program. Work as a team and develop your leadership skills. Think out of the box, get self- motivated and prepare to take your own decisions. Compete in challenges thus creating a sense of achievement and satisfaction. Teachers can choose from our existing curricular strands or suggest their own. We work closely with each school to determine the content that will best suit their students. The safety of the students is our prime concern; we provide world-class equipment that qualifies international standards. To make sure our events are conducted in a safe environment we have experienced and educated staff to guide you. Please contact us at any time if you have any questions about options for program details. During the camps, the students will be provided with a backpack list to help prepare them for the experience. Students will be given tents, floor mats, air pillows, tent lights and sleeping bags, but they can bring their own sleeping bags as well. Our lessons generally take place outdoors regardless of the weather. In case of severe weather, plans may be altered and indoor alternatives will be offered. You can download the application forms, things to carry list and other details in our download section.